Is blame harmful to our soul? I believe it is; recently reconnected with a friend who has basically had her life fall apart due to things beyond her control. However, she is stuck in the pattern of blaming herself. She has fallen into depression and has a host of medical issues, and now her faith is hanging in jeopardy. 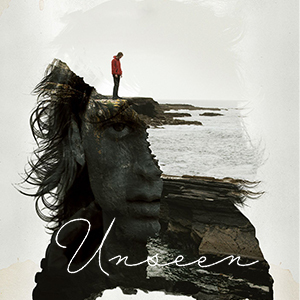 We are promoting the film during suicide prevention week – the movie Unseen. It is free with information to help. We all have stories – things happen in our life that are beyond our control or if they are within our control we cannot deal with or cope in a way to figure out a solution that is workable. We are all sinners but by the grace of God we can continue onward – and the point of this podcast is the fact that self-blame is actually studied in modern day psychology. Wikipedia has a definition of self-blame that I will read, and you can find more on their website. So – if psychology has identified it is really a behavior that has important ramifications! Is the devil to blame for our sin and suffering? So Adam blamed the woman and Eve blamed the serpent – but no one admitted to their own guilt. People often blame the devil in order to remove their own crushing guilt, justify their actions, or responsibility. What we forget it that we can learn so much through our suffering — and the things God wants to teach us. Listen – satan is a liar and a deceiver — Satan instigated the temptation, but Eve responded with negative volition, unbelief, and disobedience, and Adam failed to stay true to his responsibility as the leader in his family. But this brings me back to the issue of blame – can we truly blame ourselves for not stepping in to change events or facts – to make things right or better? Sure – and it is natural to put blame on ourselves and take responsibility for it – but it is often time to move on! Regardless of the source of a temptation ,it is up to our own free will to make a decision that is right or wrong. The Lord allows it. However – God gave us the tools to defeat the enemy – the subject of my next podcast! Ephesians 6: 12: For our struggle is not against flesh and blood, but against the rulers, against the powers, against the world forces of this darkness, against the spiritual forces of wickedness in the heavenly places. Evil is a direct result of our fallen world and the enemy – we know the source of all evil – however so much of our suffering is due to our own self-induced blame. Friends – we must break the cyle of self blame! Identify the source. Yes, it may be yourself. Identify the issue and move on. We need to memorize the Bible as a help – when the thoughts of blame surface in our minds we must “resist the devil and he will flee from us”… how? By putting on the armor of God. God’s word can combat any evil – even that of self blame. Not every evil is a direct result of the enemy. Not all suffering is a product of our own sin – think Job here. We cannot carry the burden alone. Examine your conscience – go to your pastor, if you are Catholic go to a good priest – is there a spiritual lesson you are missing? I’m not one to typically freak out by something I read online but this came across my search and if you want to see lies – listen to this lie about how wonderful the devil is. No! I rebuke that! God is victorious – Christianity is the answer against anguish and sin. 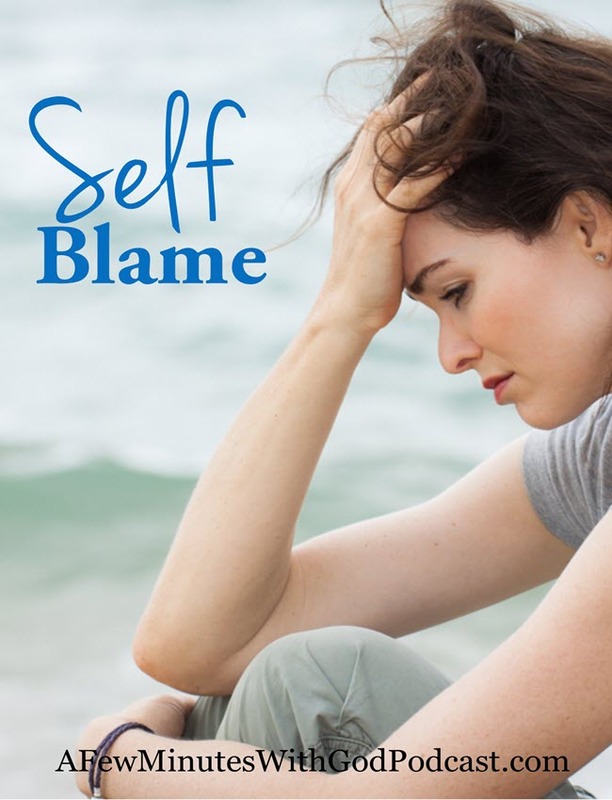 You must realize that if you can not overcome the cycle of self-blame you may need help. How much power do we really think we have? God is God and victorious in all things. Blame is a tool to keep us down and we can be victorious through Jesus Christ – and how do we know this? Because Jesus Christ was born, lived, died, was buried and ROSE on the 3rd day – He opened the gates of heaven for you and for me, and we can be victorious by living a life praising God! Dear Lord Jesus, I pray for those who are hurting today – for those who do not have hope – for those who feel like the awful things that happen in their lives are their fault – they have incredible self-blame, Lord and can’t see a way past this. Dear Lord I ask that you help them to overcome the blame to look at You and Only You for the help they need to let go of this – to confess this blame and place it at the foot of Your precious cross – you died for us Lord but best of all You rose from the dead so we could have a NEW life with you in eternity – I pray a a healing on those who have been hurt by the sins of others especially those close to them in life. Those they should have trusted but who betrayed them. I pray for a healing and for closure and for the blame to go away in Your Precious Name, Jesus. Amen. After finding his grandson Owen preparing to end his own life, Alexander takes him along on an errand. As the day unfolds, Owen learns new information about his grandfather’s past and unlocks the secret to facing his own future.